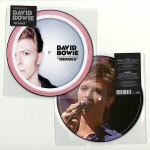 This limited edition of "HEROES" is to be released on 22nd September via Parlophone. A-side: "Heroes" (Single version 2017 Remaster). (Lyrics by David Bowie, Music by David Bowie and Brian Eno). Recorded at Hansa Studios, Berlin and Mountain Studios, Montreux. AA-side: "Heroes" ('Marc' Granada TV show version). Recorded for the Granada television show 'Marc' on 7th September 1977 and broadcast on 20th September 1977. The A-side picture was taken by Sukita in Japan 1977, and the AA-side was shot at the recording of the 'Marc' TV show in September, 1977. You can pre-order "Heroes" (40th Anniversary) [vinyl] NOW. Check out NACHO's new film DAVID BOWIE IS THE MAN WHO FELL TO EARTH - 2017. David Bowie is The Man Who Fell To Earth - 2017 from Nacho's Productions on Vimeo. davidbowie.com have exclusively announced details of the next DAVID BOWIE Box Set..
Parlophone Records are proud to announce DAVID BOWIE 'A NEW CAREER IN A NEW TOWN (1977 - 1982)' the third in a series of box sets spanning Bowie's career from 1969. The follow-up to the awarding winning and critically acclaimed DAVID BOWIE 'FIVE YEARS (1969 - 1973)' and DAVID BOWIE 'WHO CAN I BE NOW? (1974 - 1976)' will be released on 29th September and will contain a brand new remix of the 1979 album 'LODGER' by long time Bowie producer/collaborator Tony Visconti. 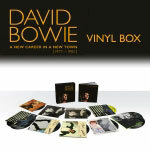 The eleven CD box, thirteen-piece vinyl set and the Mastered For iTunes and standard digital download sets feature material officially released by Bowie between 1977 and 1982. It includes the so-called 'Berlin Trilogy' of albums on which he collaborated with Visconti and Brian Eno, and is completed by 'SCARY MONSTERS (And Super Creeps)'. 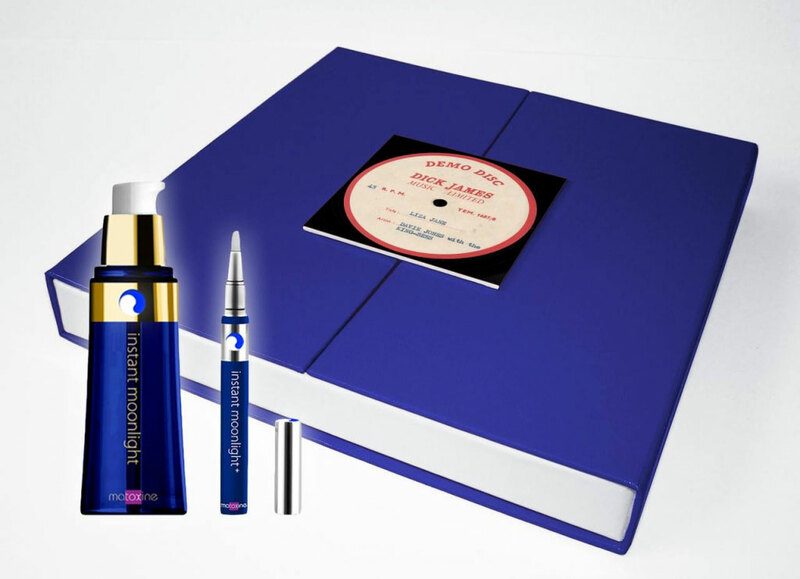 The box set, named after the final track on side one of 'LOW', includes 'LOW', '"HEROES"', 'STAGE' (ORIGINAL and 2017 VERSIONS), 'LODGER', 'LODGER (Tony Visconti 2017 Mix)', 'SCARY MONSTERS (And Super Creeps)' and 'RE:CALL 3'. Finally we have the '"HEROES"' E.P., which rounds up the German and French album and single versions of the track in one place for the first time, a compilation exclusive to the set celebrating the 40th anniversary of the song. In the vinyl version of the box the original 'STAGE' will be pressed on yellow vinyl, replicating the limited edition U.K. release of the time. The 2017 version of 'STAGE' features two previously unreleased tracks. Exclusive to each of the box sets is 'LODGER (Tony Visconti 2017 Mix)'. The remix was started with David's blessing before his passing in January last year. Tony Visconti has revisited the original multi-tracks at Human Studios and remixed the album with the benefit of modern technology to better highlight the album's nuances. Always a personal favourite of David's, this version of the album will also feature newly 'remixed' artwork featuring unseen images from the original cover photographic session from the archive of the Estate of photographer Duffy, working closely with his son Chris. Also exclusive to each box is 'Re:Call 3', a new compilation featuring remastered contemporary single versions, non-album singles and b-sides, and songs featured on soundtracks. The cover features a photo by Christian Simonpietri taken at Hansa Studios in Berlin during the '"Heroes"' sessions in 1977. 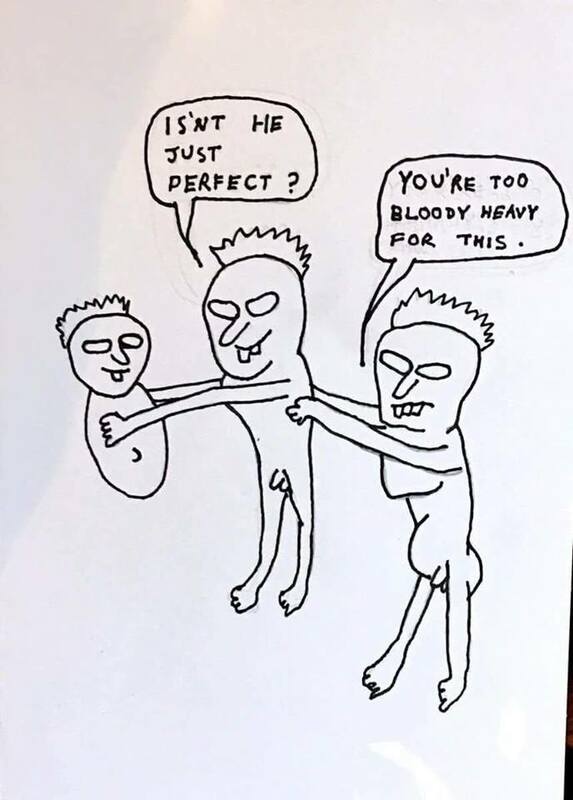 The 'Baal' E.P. in its entirety is making its CD debut while 'Beauty And The Beast' (extended version) and 'Breaking Glass' (Australian single version) are making their debuts on CD and digital formats. 'Beauty And The Beast' (extended version) is available as a digital download upon pre-order of the box set. This version of the '"Heroes"' album track is making its digital and CD debut having previously only been available on a rare US promo 12" and as a limited 12" release in Spain. The physical box set's accompanying book, 128 pages in the CD box and 84 in the vinyl set, will feature rarely seen and previously unpublished photos by photographers including Anton Corbijn, Helmut Newton, Andrew Kent, Steve Schapiro, Duffy and many others as well as historical press reviews and technical notes about the albums from producer Tony Visconti. 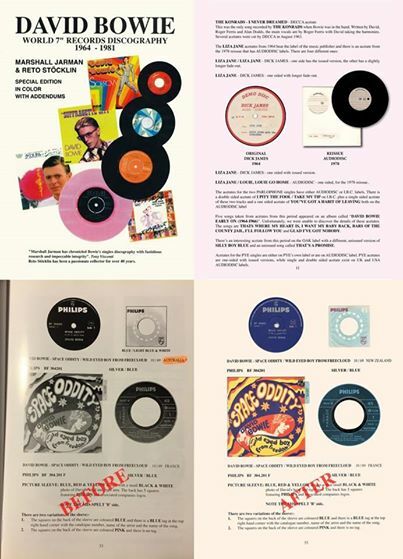 The CD box set will include faithfully reproduced mini-vinyl versions of the original albums, and the CDs will be gold coloured rather than the usual silver. 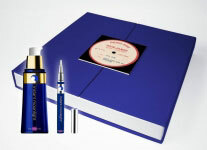 The vinyl box set has the same content as the CD set and is pressed on audiophile quality 180g vinyl. 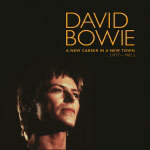 *A New Career In A New Town (1977-1982) will also be made available in High Definition audio digital formats (192kHZ/24bit and 96kHZ/24bit). 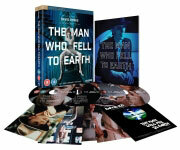 Content varies from other formats due to the resolution of the available original source material. Note: Lodger (Tony Visconti 2017 mix) is not included in this digital box set. 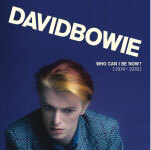 'A NEW CAREER IN A NEW TOWN (1977 - 1982)' CD and Vinyl Tracklistings (showing Vinyl side breaks). Released on RCA PL 12030 (U.K.) / CPL1-2030 (U.S.) on 14th January, 1977. The running order for Re:Call 3 CD differs from the vinyl version. 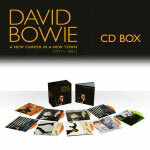 You can pre-order DAVID BOWIE 'A NEW CAREER IN A NEW TOWN (1977 - 1982)' BOX SET NOW! 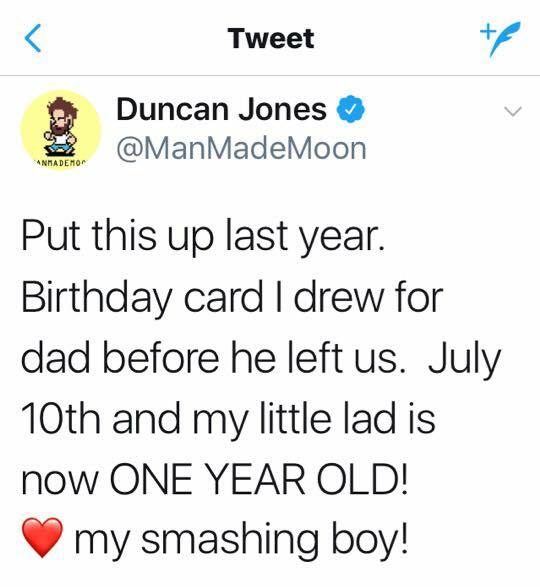 Happy 1st Birthday to STENTON DAVID JONES. 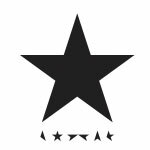 DAVID BOWIE's ★ album has just won a posthumous 'Pop Music' award at the SOUTH BANK SKY ARTS AWARDS tonight. The gong was accepted by IGGY POP who sent a video message. The ceremony will be broadcast on Sky Arts TV this Wednesday (12th) at 8pm. 25th November: O2 Institute 2, Birmingham. 26th November: O2 ABC, Glasgow, Scotland. 27th November: The Water Rats, London. (SOLD OUT). 28th November: Underworld Camden, London. 29th November: O2 Academy, Sheffield. 30th November: O2 Academy, Liverpool. 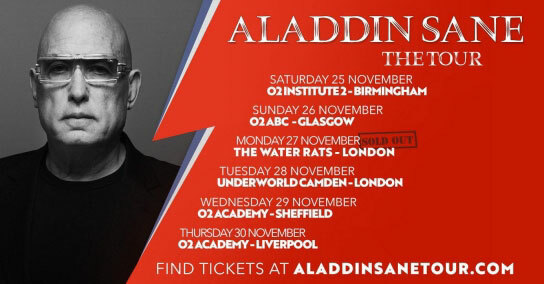 For more details and tickets, please visit the aladdinsanetour.com website. 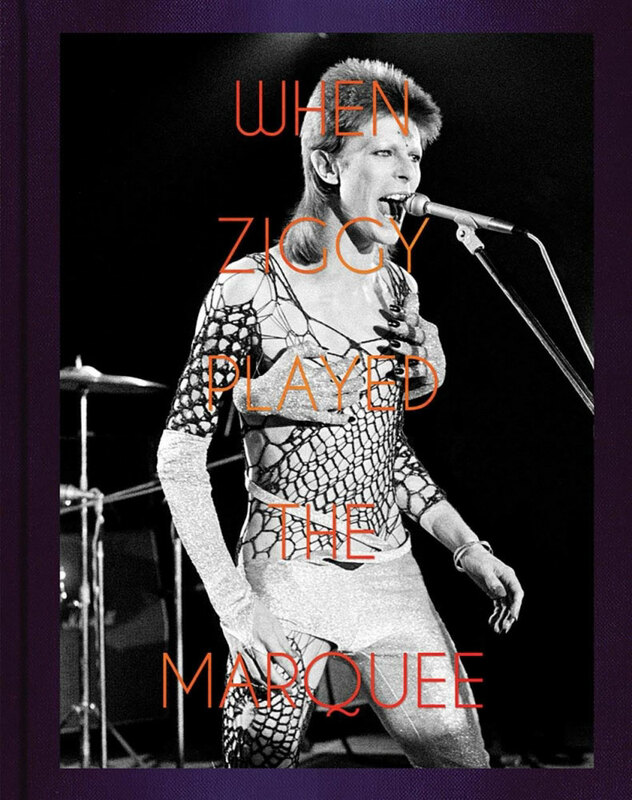 New book scheduled for publication in September is WHEN ZIGGY PLAYED THE MARQUEE: David Bowie's Last Performance as Ziggy Stardust by TERRY O'NEILL. For those of you who use FACEBOOK - check out the DAVID BOWIE Wonderworld Group. All set for publication later this month on 19th July is BOWIE UNSEEN Portraits of an Artist as a Young Man' by GERALD FEARNLEY. 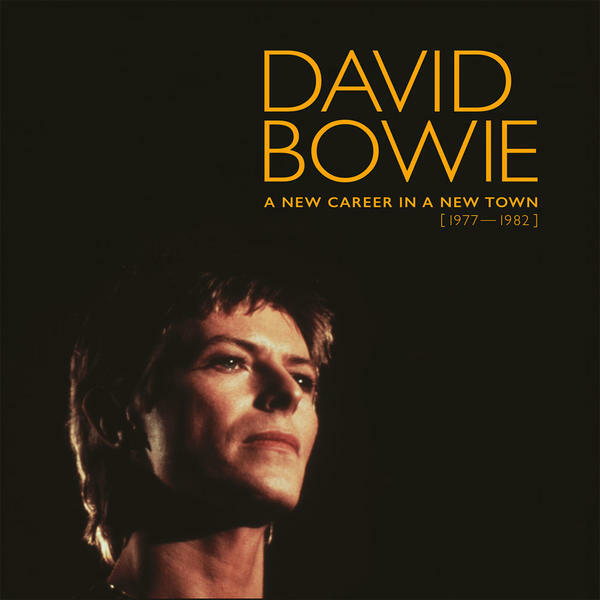 Brand new DAVID BOWIE 'A NEW CAREER IN A NEW TOWN (1977 - 1982)' BOX SET vinyl / CD and digital downloads to be released 29th September via Parlophone - you can pre-order NOW! New book WHEN ZIGGY PLAYED THE MARQUEE: David Bowie's Last Performance as Ziggy Stardust by TERRY O'NEILL hardback, 208-pages, to be published by ACC Art Books on 14th September - you can pre-order NOW. OFFICIAL DAVID BOWIE 2018 WALL CALENDAR due 1st August published via Brown Trout Publishers - you can purchase NOW. 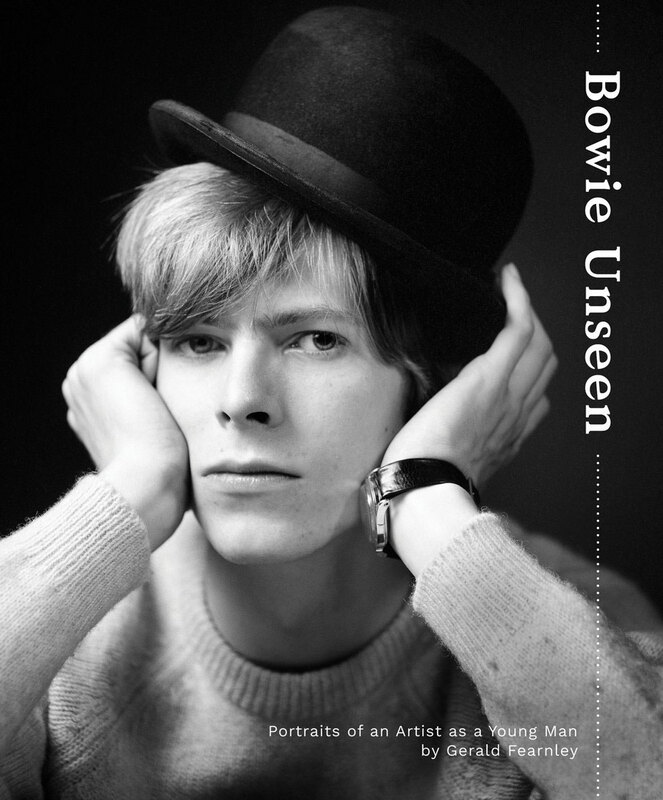 New book 'BOWIE UNSEEN: Portraits of an Artist as a Young Man' by GERALD FEARNLEY - published on 19th June hardback, 80-pages via ACC Art Books - you can purchase NOW! Limited edition 2-CD digipak release of DAVID BOWIE - CRACKED ACTOR (Live Los Angeles '74) via Parlophone released 16th June - you can purchase NOW! BE MY WIFE 40th Anniversary Picture Disc - released via Parlophone 16th June - you can purchase NOW. New book EARTHBOUND: David Bowie and The Man Who Fell To Earth by SUSAN COMPO, to be published by Jawbone Press on 24th October - you can pre-order NOW.